Daily pick of fashionista: Why not to extend Independence day celebration to the whole weekend? Another 4-th of July-inspired look. Why not to extend Independence day celebration to the whole weekend? Another 4-th of July-inspired look. I hope you had a wonderful 3rd and 4th of July, guys. Independence brings a lot of inspiration, so I decided to make more patriotic yet cute outfits. Here is an ideal "dinner and a movie" date outfit with a patriotic twist. By the way what would you choose to watch: Tammy, How to Train Your Dragon 2 or Edge of Tomorrow? I would definitely go see the Dragon! The central pieces of the outfit are a crop top and a skirt - they set the main colors, which correspond to the colors of the American flag. I chose pastel violet-blue instead of the Royal blue and stripe instead of star print for the top. This is a way to make an outfit look patriotic, but not too obvious and not to be misunderstood for a "costume". 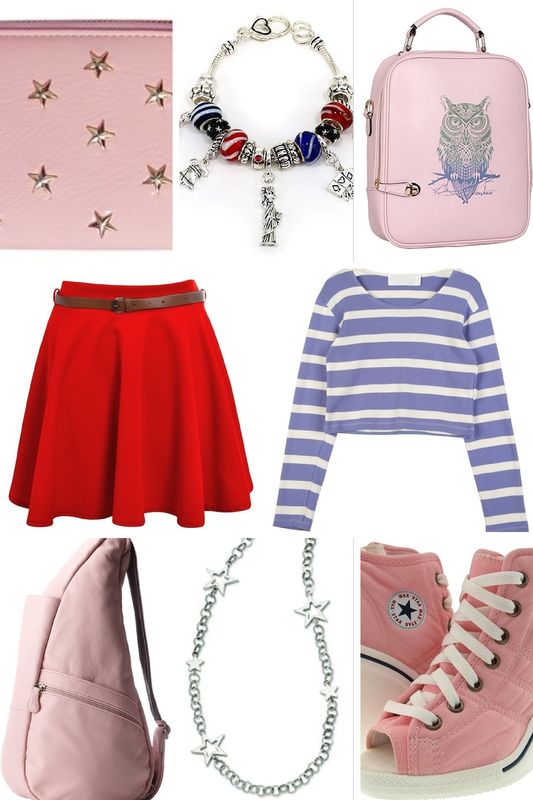 =) Then we have a lot of references like stars necklace, God Bless America bracelet, also stars on the purse and sneakers. These tiny details put an outfit together and will say a lot to a careful observer. 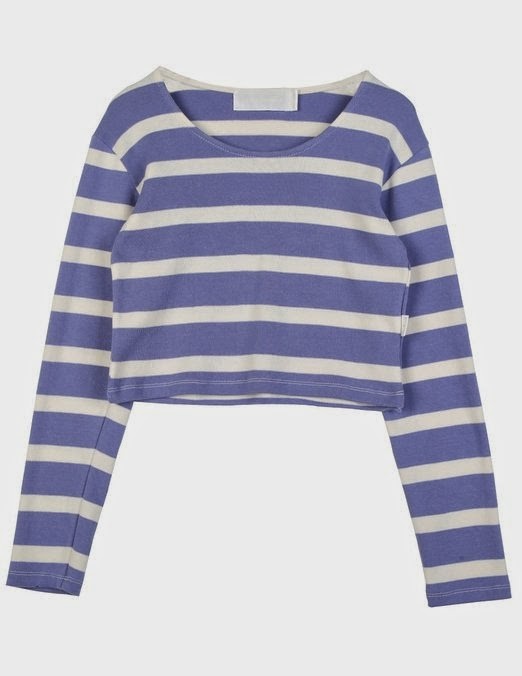 The top is about 16" long, so you can show off your belly button piercing and/or a toned tummy. 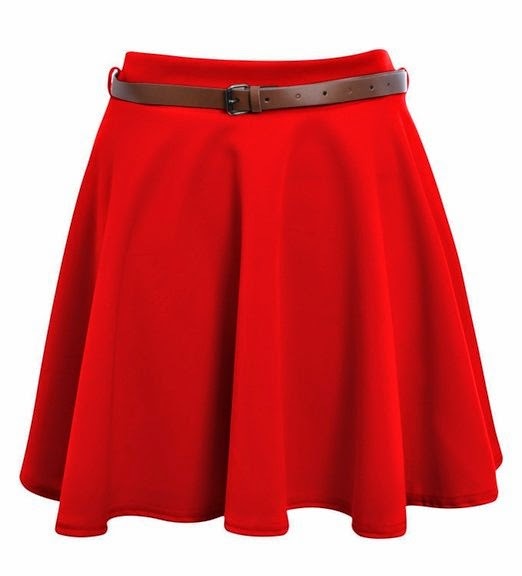 Not many people would dare to wear a scarlet skater skirt, but you should definitely give it a try - it looks gorgeous and you will stand out from the crowd. The sneakers, bags and purse are of the same color, which I don't do often, but considering very bright and contrast top and skirt, this is a solution I would highly recommend. The sneakers have an open toe that will let your foot breathe. 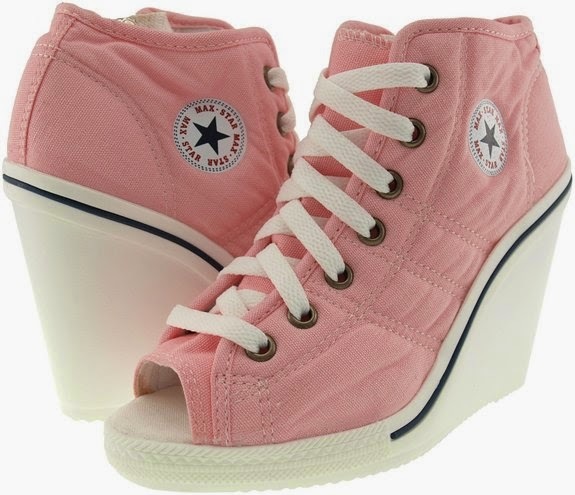 They are also wedges, so your ankles will look very elegant in them and they can be combined with a skirt/dress. They also have a sporty feel, so you can wear them with jogger pants and a bomber as well. I bet they will make your favourite summer pair of shoes if you try them once! 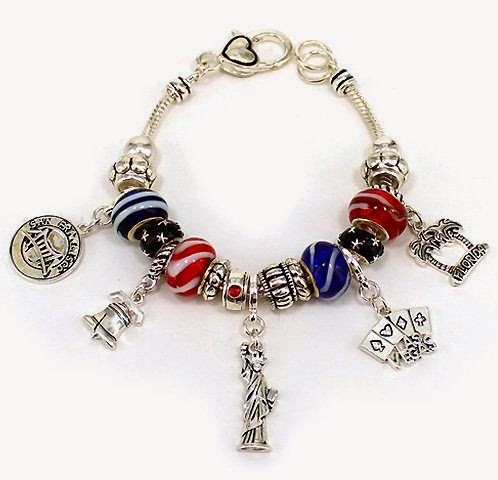 The bracelet is very pretty and its charms represent all things American, like San Francisco, Liberty Bell, Las Vegas, Florida and Statue of Liberty. 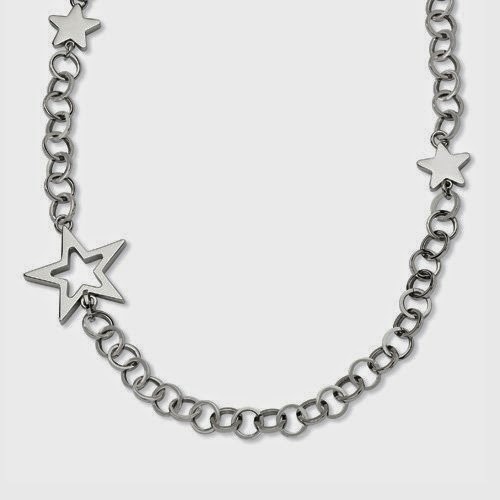 The chain necklace is from polished stainless steel - it is nicely weighted and not flimsy at all. It is 30" long - this length will look great on the top. 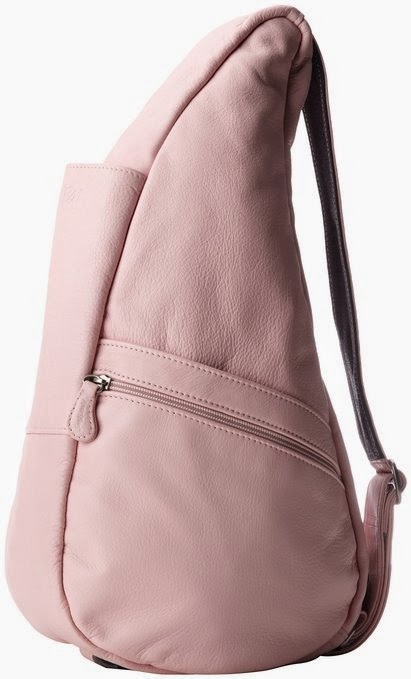 I suggest to wear a backpack and a cross body bag (which looks same as a backpack to me) with this look - they would go extremely well with sneakers and a skater skirt. 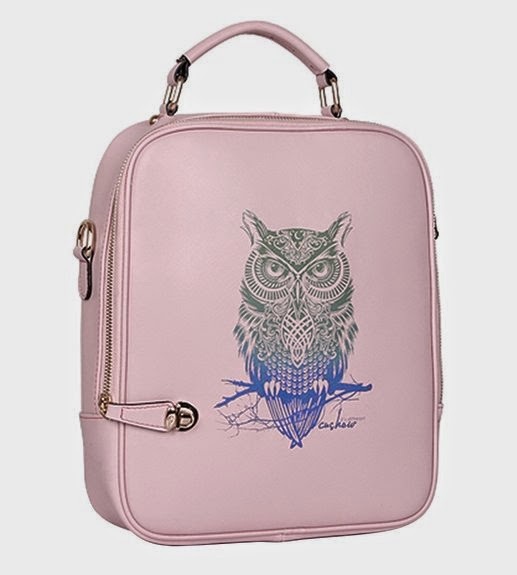 An owl backpack has a top handle and can be worn as a handbag. Did you noticed that the lower part of an owl print matches the color of the top? 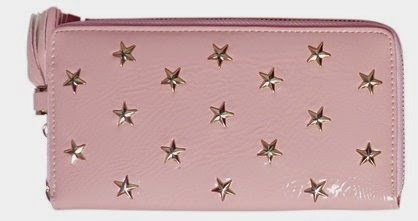 =) You can use a star purse with both of the bags or wear it as a wristlet.